I cannot pinpoint what exactly it is that propelled me to be so infatuated with the Linguine Mare Chiaro at Il Fornaio, a seafood pasta dish with tomatoes, garlic, crushed red peppers, and wine. It has become so addictive to me that I would have the desire to consume it again even on the same day after I had it, or had me dreaming about it over and over again. 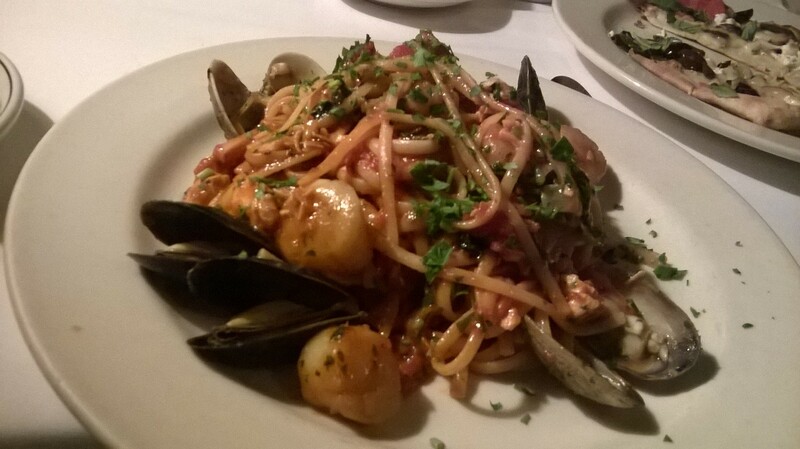 Perhaps it is the firm texture of the noodle (al dente), and the perfect balance of the sauce with the wine, and the freshness of the seafood that had me drooling whenever I think about it. However, it was a rather difficult decision for me to finally write about Il Fornaio due to the fact that there were a few misses here and there when I did order this seemingly simple dish. The experiences here had been a mix bag of “great, wonderful, so delicious, under cooked pasta, raw seafood, wrong order”. The first time I ordered the dish, the noodle was undercooked to the point of being hard in the center. When I told my waiter, with an ever so slight annoyance, snobbishness, and arrogance in his expression and tone, he related to me that in Italian cuisine, the pasta is cooked to “al dente”. “I know what “al dente” is”, I replied (trying hard not to sound too offended), “this noodle is hard”. With much reluctance, he brought the dish to the kitchen. The new plate of pasta that came later was perfection. A few weeks ago, I was again craving for this pasta dish. It was DineLA week, I made a request to the waiter to subsititute the dish with the entree listed on the DineLA menu, and the chef came over himself and said it was no problem. I was elated. First of all, the DineLA menu was quite excellent as far as food selection and price. it was $40 for a 4 course menu. I had the Minestrone soup, and the Rusticella (Housemade flatbread with goat cheese, mozarella, olives, etc) to start. 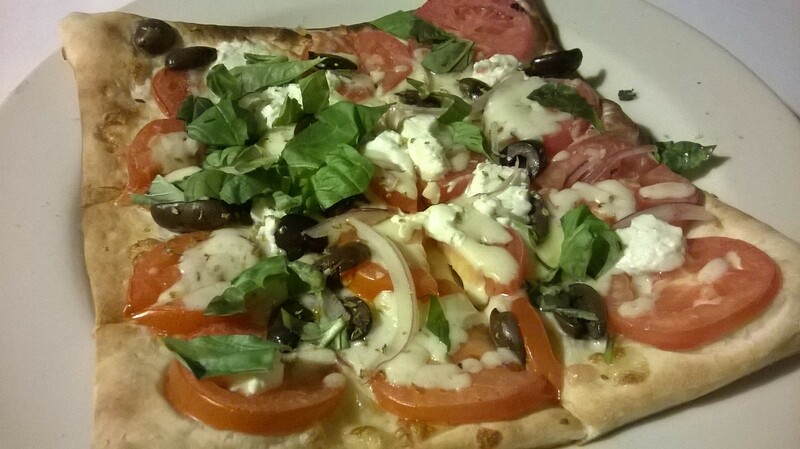 The flat bread was huge, and resembled a pizza. I would have been stuffed if I were to finish the entire dish. I loved the cheesiness and the thinness of the crust. I had requested no shrimp, more scallops for my pasta order, and the dish came out with all shrimp and no scallops. The waiter took it back and returned later with the pasta, but unfortunately, all the seafood were way too under cooked to the point of being too raw for me to eat. I ended up not eating much of the plate. 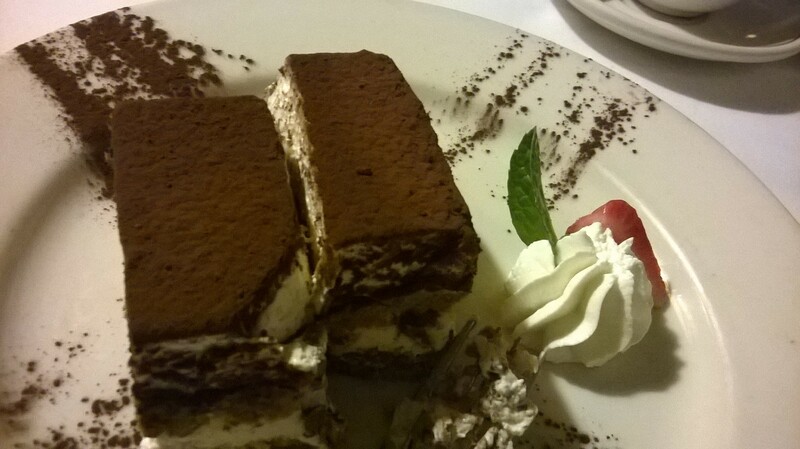 The Tiramisu was quite large, a tad too sweet for my taste, but still good. 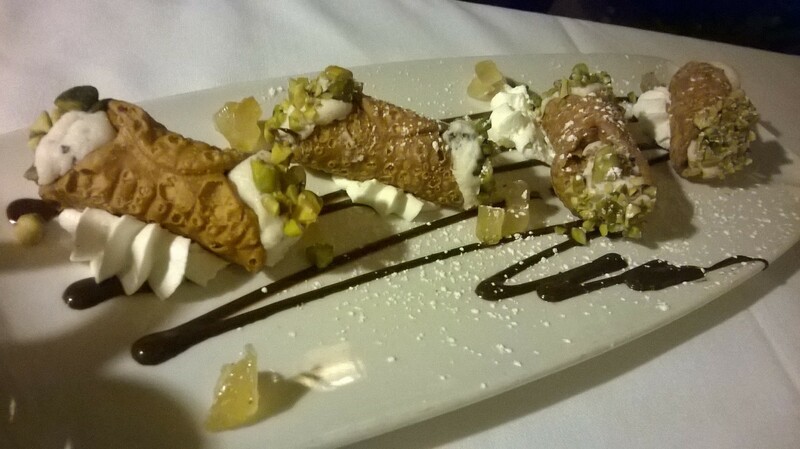 When I tried to cut into my friend’s Cannoli Sicillian, the shell was so hard that it actually flew off the table, so I gave up on trying another one. At the end of the meal, I mentioned to the waiter that the seafood were too raw to consume. He was at least conscientiously enough to talk to his superior, and did not charge us the entire $40 for the meal. So as you can see, not all the meals at Il Fornaio were smooth and perfect, but somehow, my desire to have this pasta has not dwindled despite, and I am hoping to go back again soon for this favorite dish of mine.